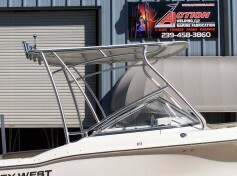 Action Welding custom designs Half Towers for Walk-Arounds and Walk-Thru Boats. 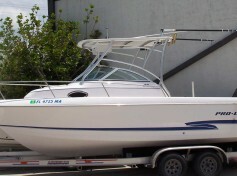 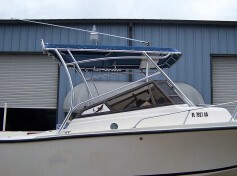 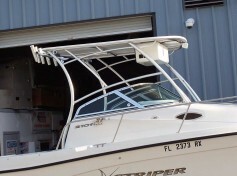 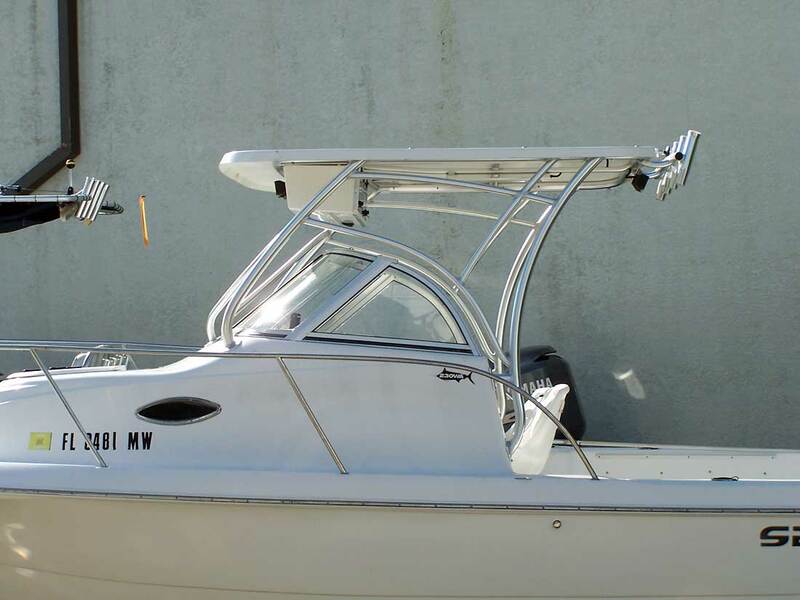 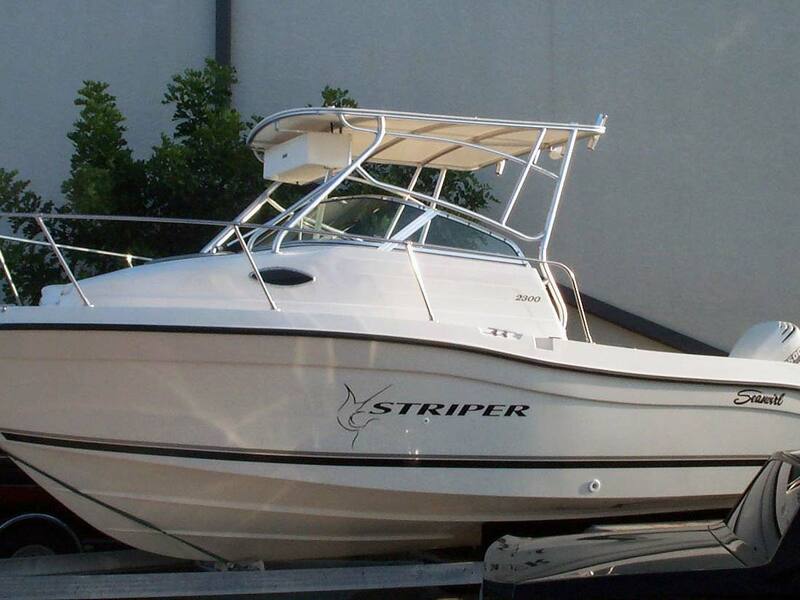 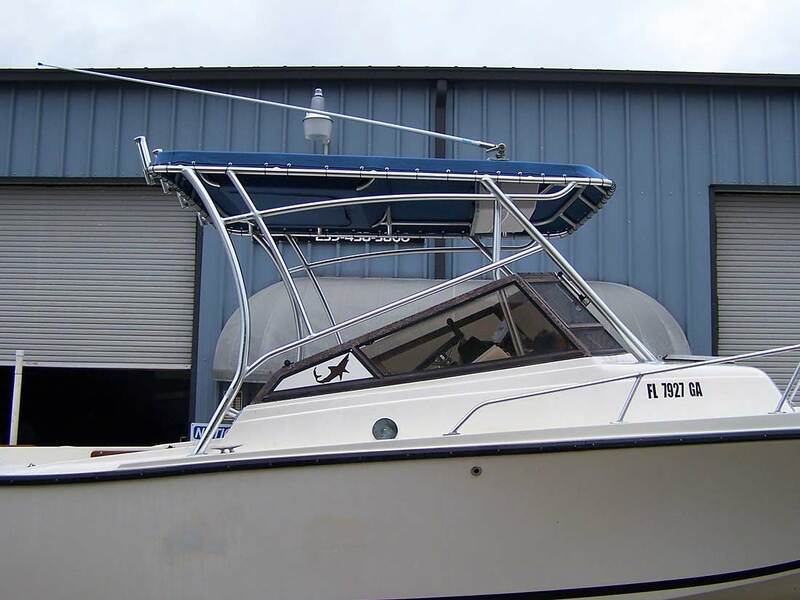 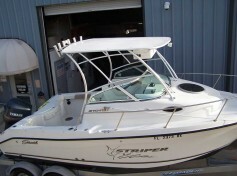 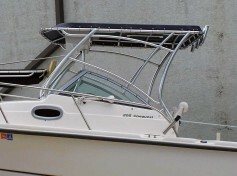 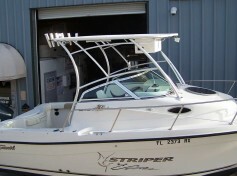 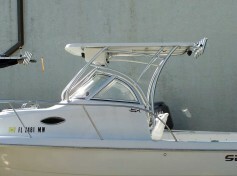 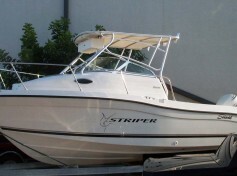 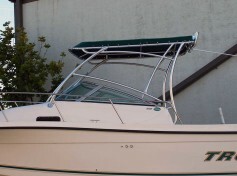 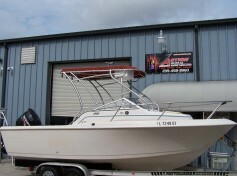 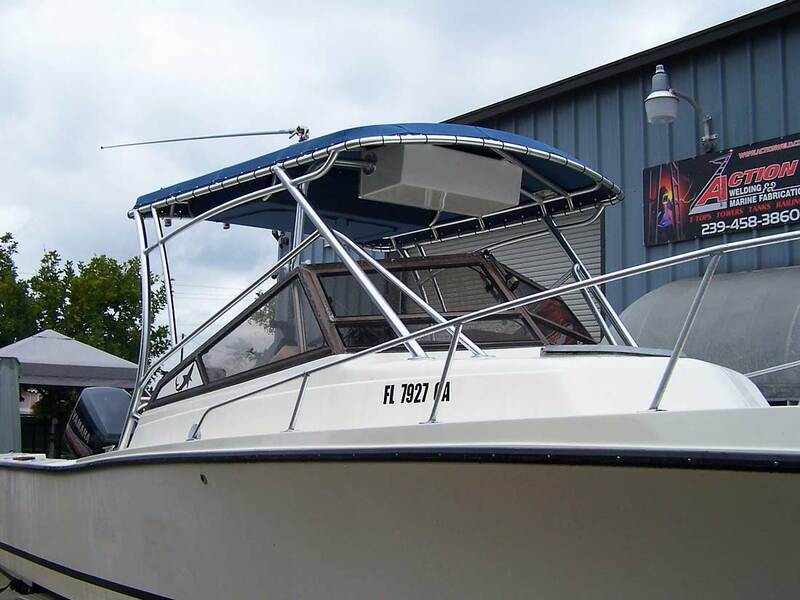 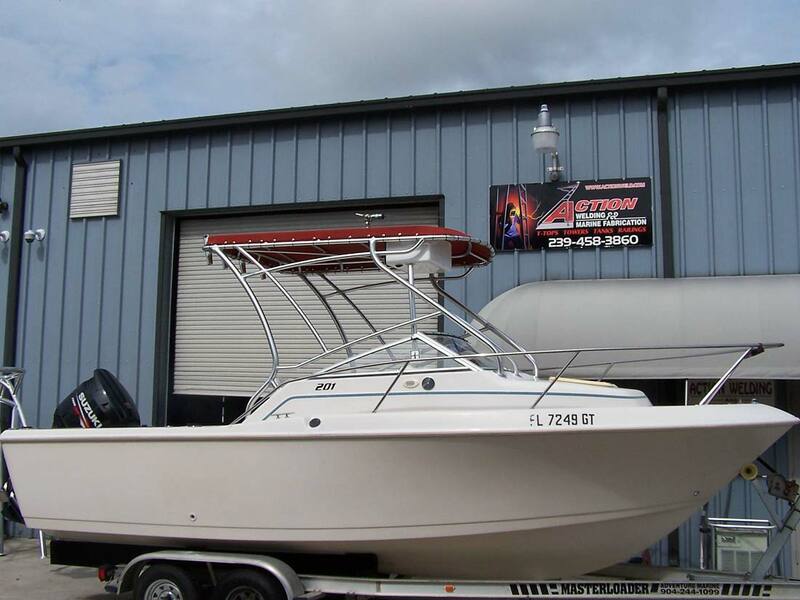 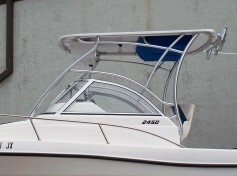 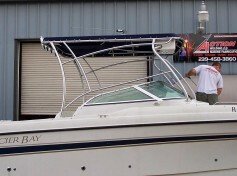 Bow Rider type boats are fabricated on the boat for the best fit possible. 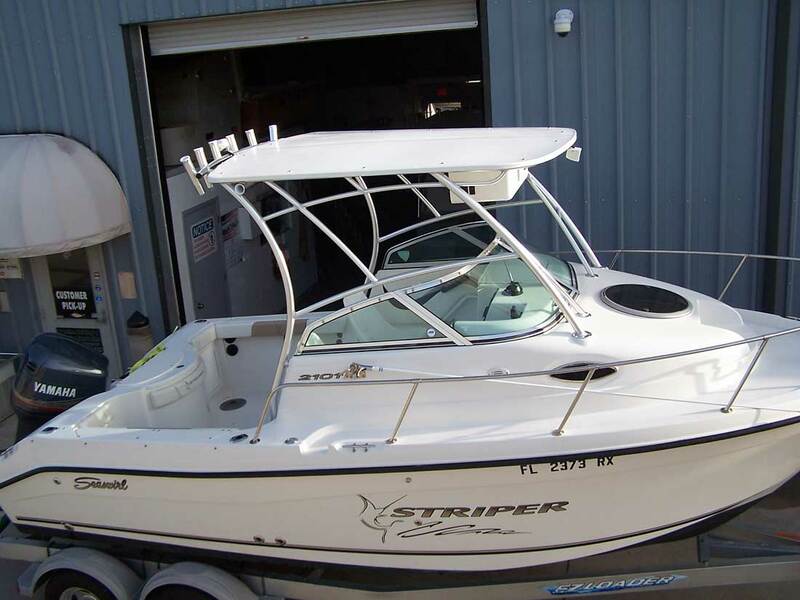 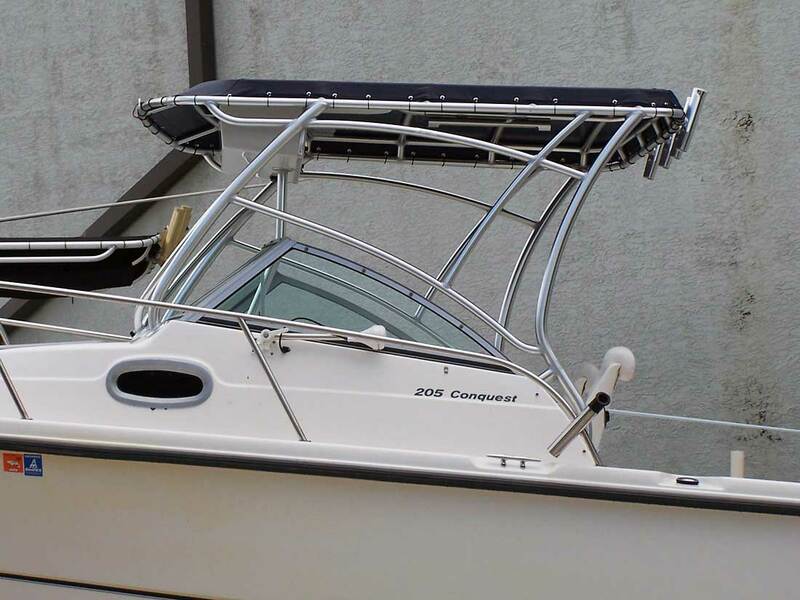 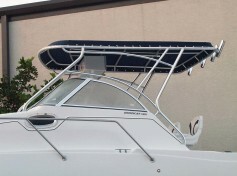 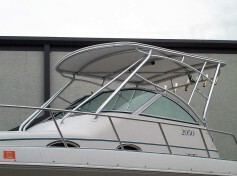 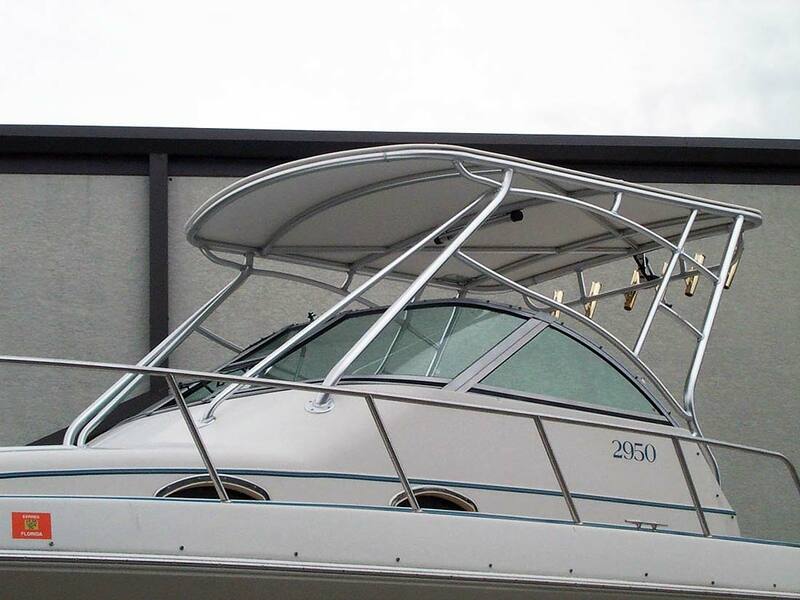 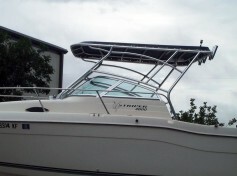 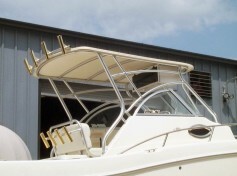 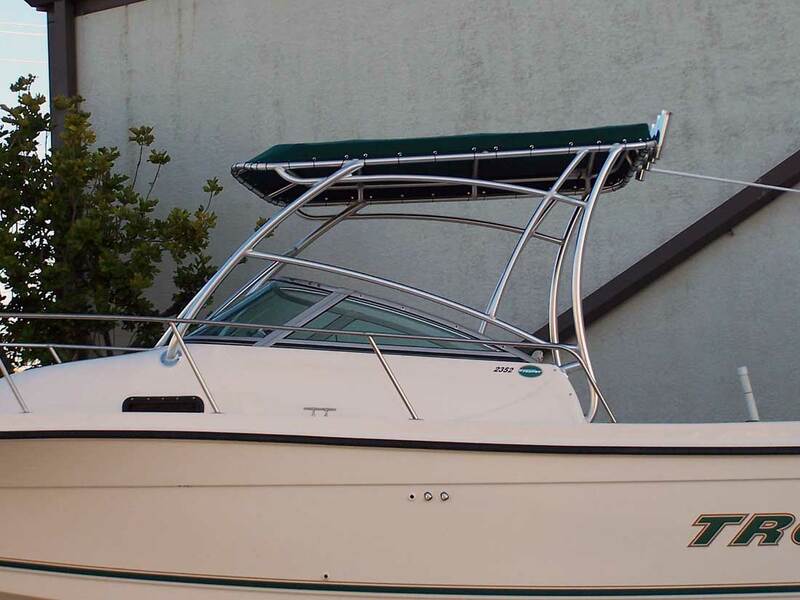 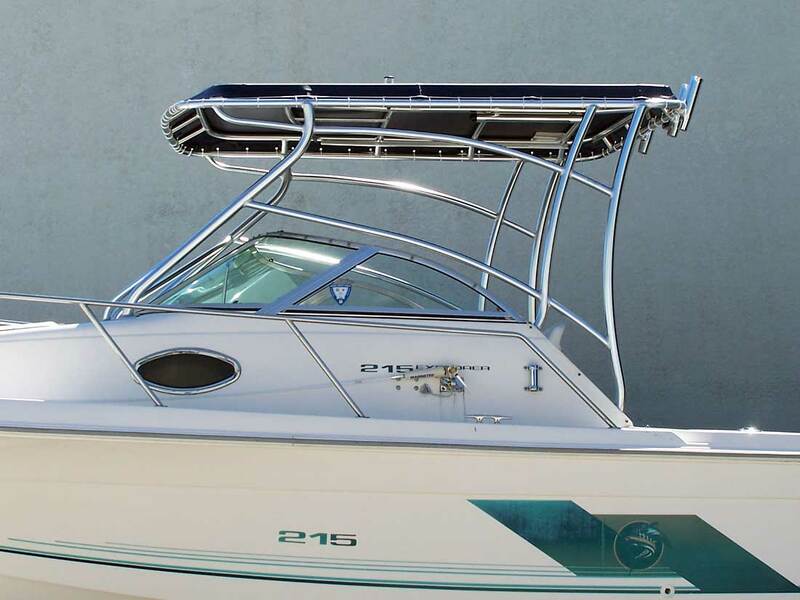 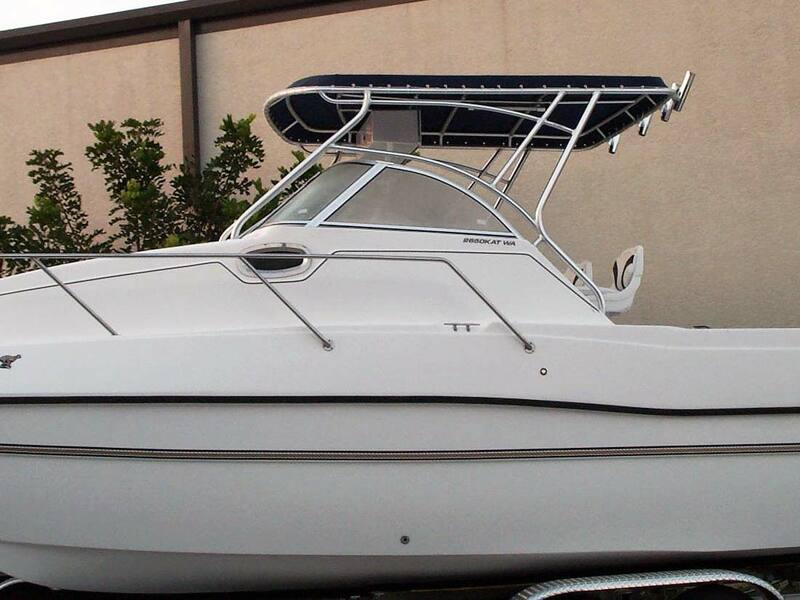 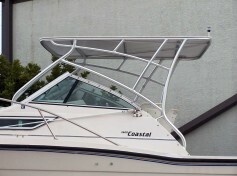 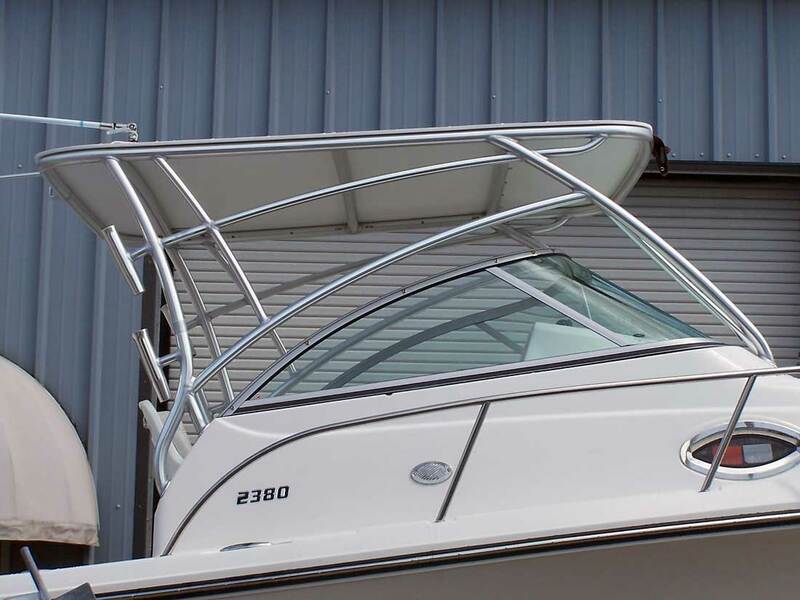 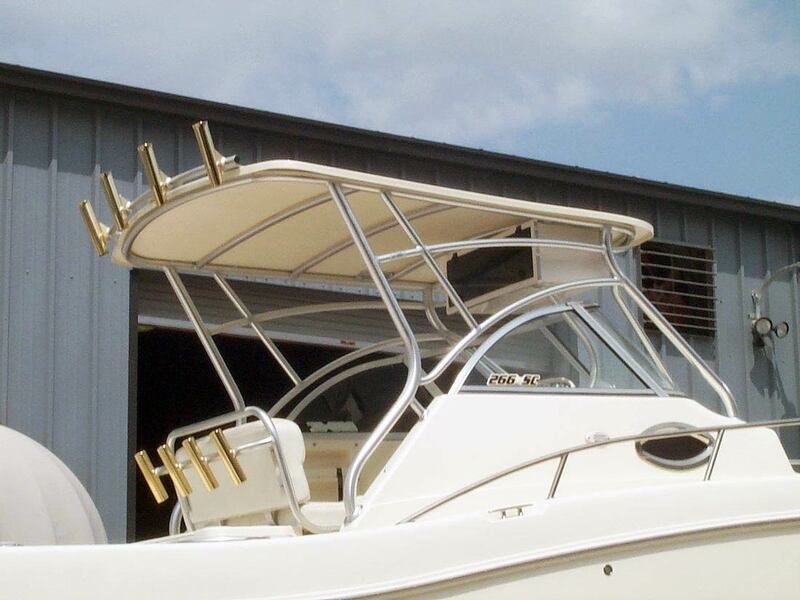 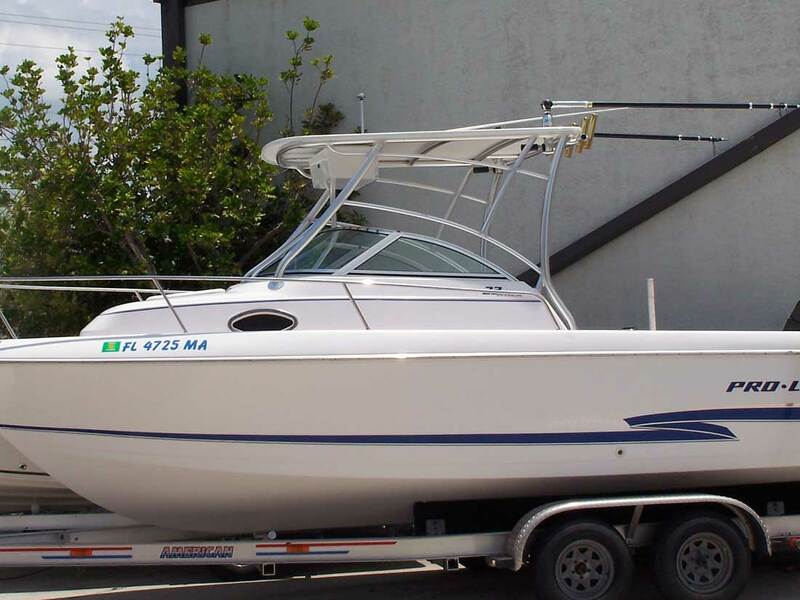 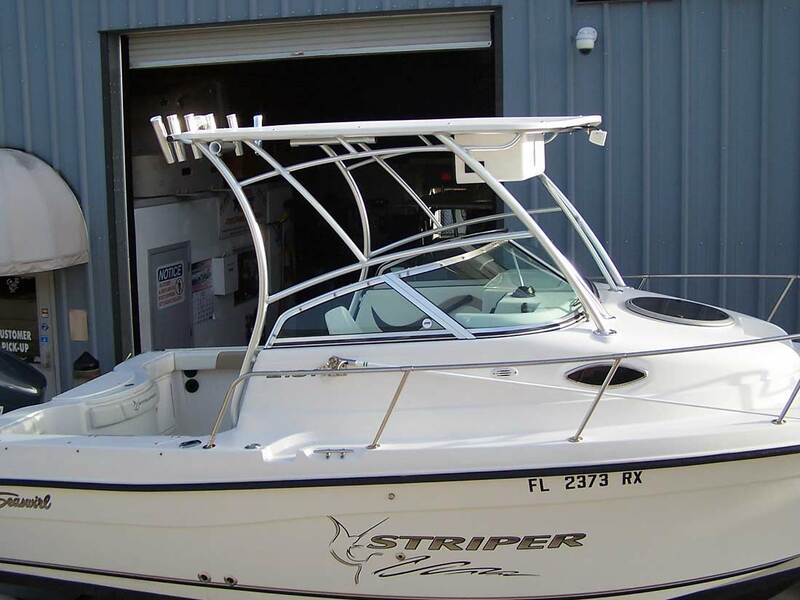 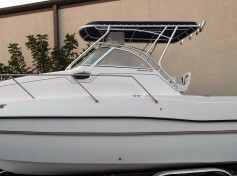 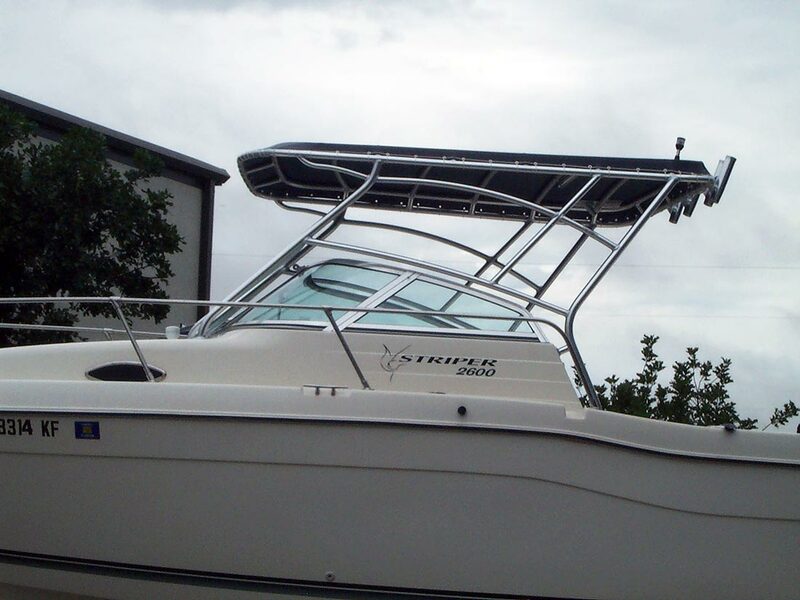 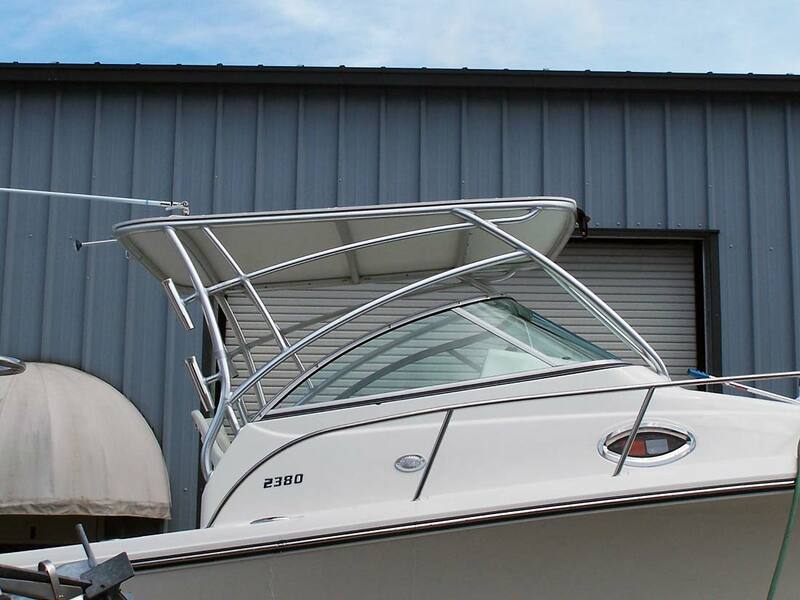 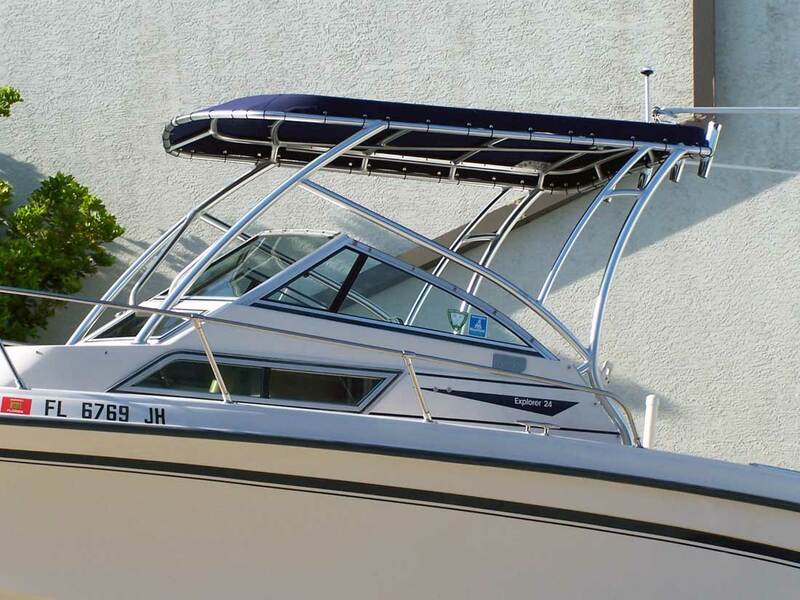 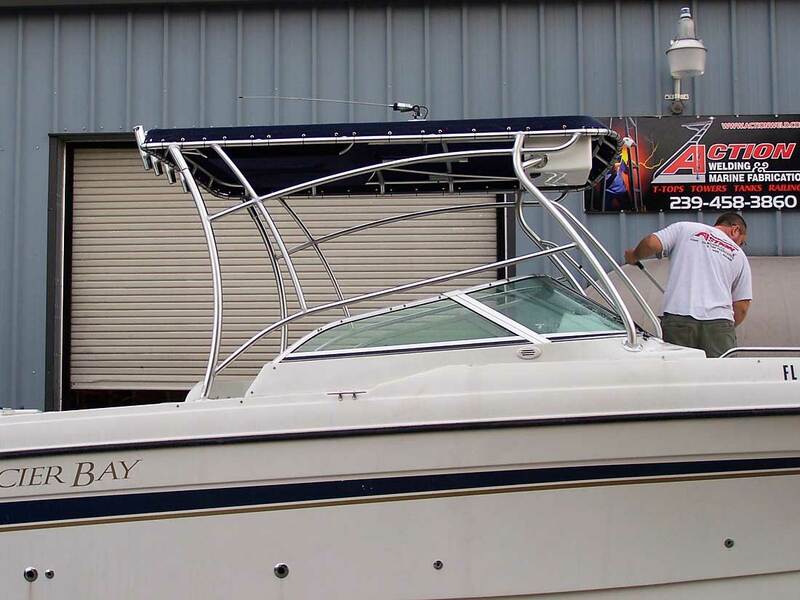 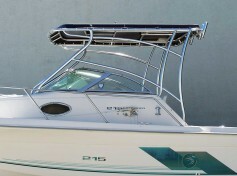 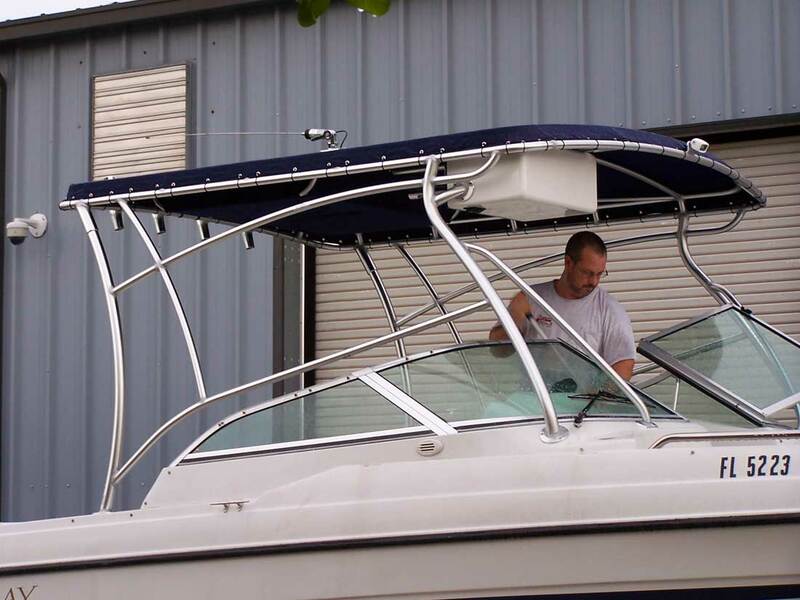 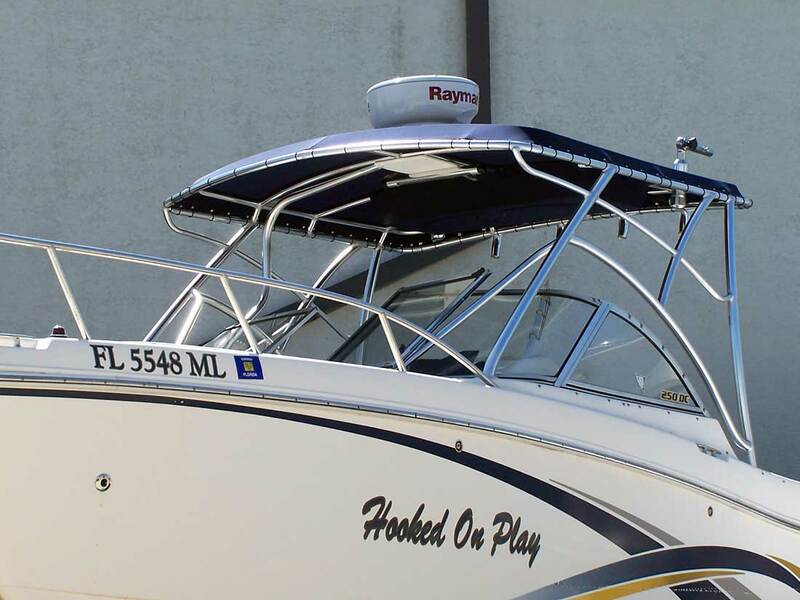 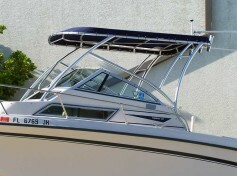 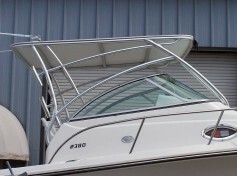 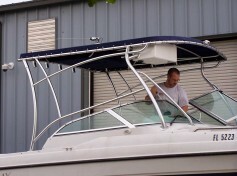 Each Boat Top is built to meet the customers needs to assure their satisfaction! 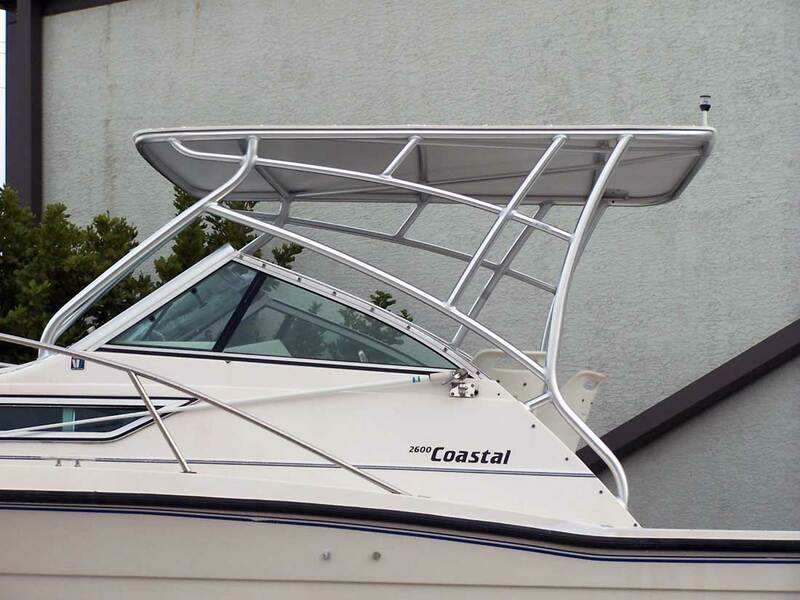 The options are many — so build it the way you want! 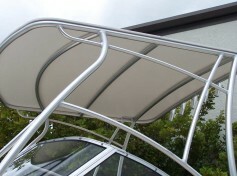 Also refer to ‘T-Top Information‘ for more details, as many of the others are the same. 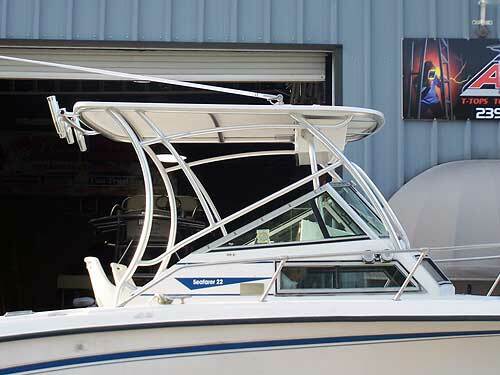 * Lifetime Warranty is to original customer and covers frame failure such as cracking or breaking and does not cover damage due to abuse and/or corrosion. 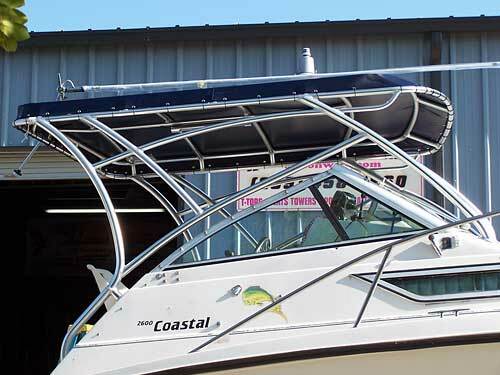 ** If top is designed for a Crow’s-nest, additional cost may be required to strengthen framework, add necessary mounting pads, and ladder access. 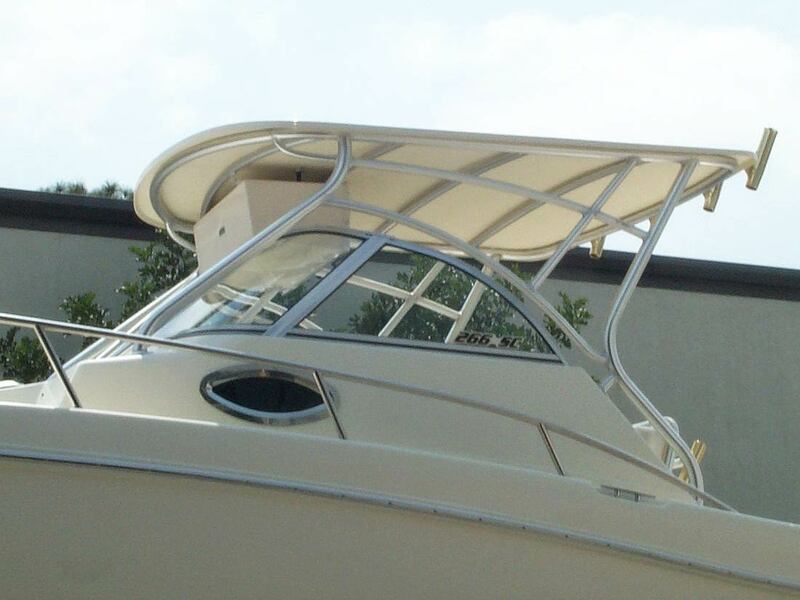 # Top sizes are approximate… each top is custom made to fit the style and design of the boat, and to suit the customer’s requirements. 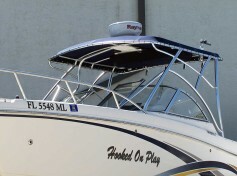 * OTHER OPTIONS ARE AVAILABLE. 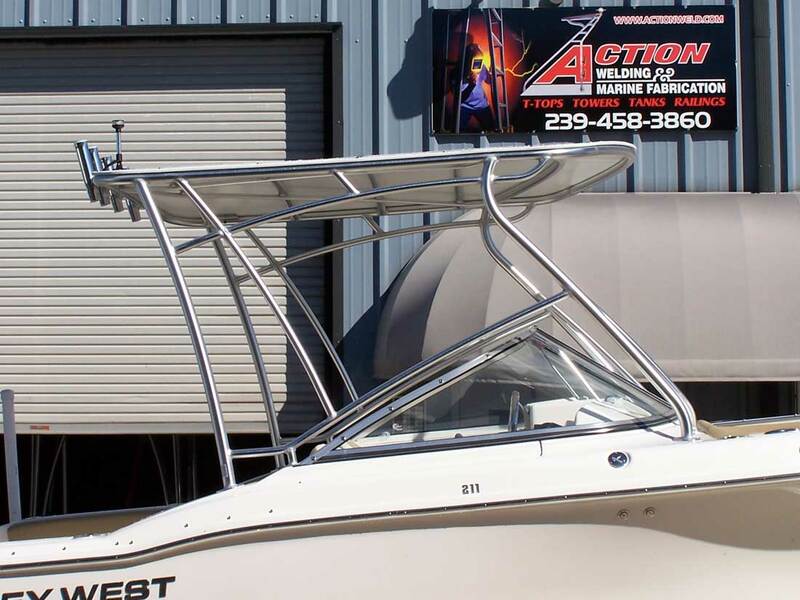 Email us below for more information!